With the housing crisis escalating in London those who earn a living within London are forced outside and studies have shown that only 1% of the 1 million key workers operating across London can actually afford to buy a home near the province. It has also been showed that more than one-third music and cultural venues in London have been lost in the last decade. 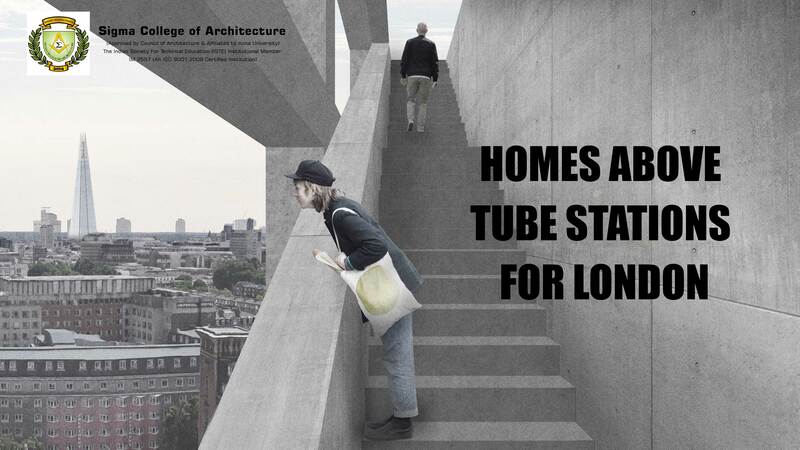 It is in the light of these events that Royal College of Art Architecture graduate Eda Kutluozen has proposed to solve this crisis by introducing vertically stacking highly compacted public and domestic spaces into disused infill sites across the capital, such as the dead space above tube stations. Kutluozen described the project to be an eye opener. “The project argues that the intense properties of a city such as the seemingly chaotic compression of multicultural societies can be seen as a positive condition, and that maintaining the presence of people from multiple social and economic backgrounds is key to this quality. As opposed to the existing trend of monotonous dormitory and gated developments, this project aims to mix and compact heterogeneous influences into a community and holds onto and revive civic living culture to the city Centre”.